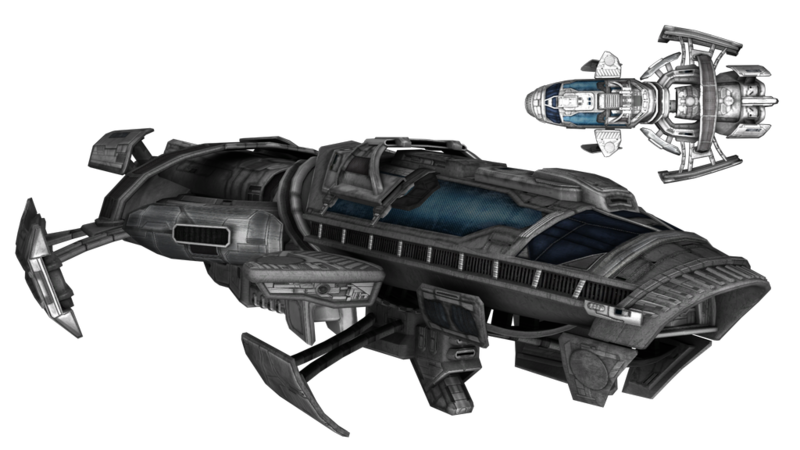 The GCV-Starguard is an abandoned carrier that cruises the region on auto-pilot and acts as a floating base of operations. It has three decks, accessible via T-Shafts which link various parts of the ship. Dynamic Jump Pads link it to the planets below and the stations in the region. A docking bay allows space craft to come and go. There are also HAIS-MK2 suits located at each airlock and which allow quick transition to the Lyrius planet below. It also has automated defense systems (turrets and missile launchers) which engage detected threats.